Thermoguard Wallcoat is an intumescent white undercoat for application to previously painted plaster, Artex, board, brick & concrete walls & ceilings. 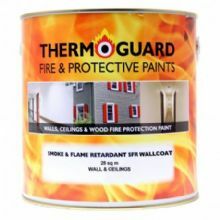 Overcoated with Thermoguard flame retardant paint it insulates old paint films from fire, controlling the spread of flames along walls and ceilings. Thermoguard Wallcoat achieves Class 1 & O and or/ EN Class B and can also achieve 30 minutes and 60 minutes Fire Resistance and provides Low Smoke Emission. 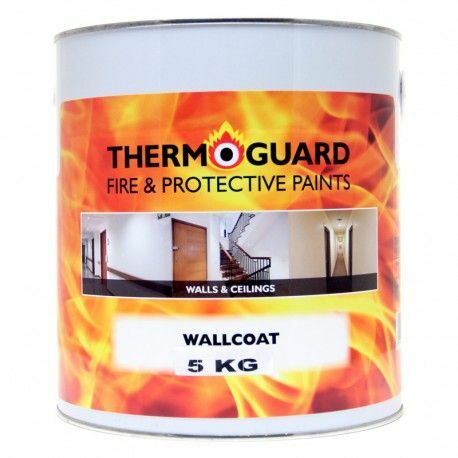 Thermoguard Wallcoat is low-odour and water-based, making it user and environmentally friendly.